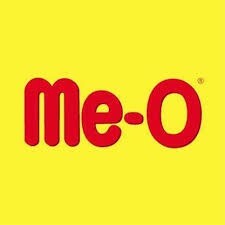 Meo pouch ocean fish 80 gms (pack of 12) with best offers & discounts. Breed - All cat breeds. Vital for the health of the cat. High moisture food, to detoxify the body. Made from real ocean fish and supplies of the animal-based protein which is vital for the health of the cat. For the obligate carnivore, the protein derived from meat is a very important element to ensure for the optimum health. The food also has vitamins and minerals which further promote the well-being of the feline. In general, cats don’t drink much water. The high level of moisture food will help the feline detoxify the body. The incredible taste and complete real fish wet food will be thoroughly enjoyed by the cat. The natural fiber facilitates the process of digestion. Specially formulated with all nutrients. Ingredients: Sardine, soybean oil, modified starch, food coloring, chicken carcass, vitamins and minerals, guar gum, jelly powder. Nutritional Analysis: Crude protein, Crude fat, Crude fiber, Moisture. CLICK ON THE EXTRA OFFER AND GET 6 % OFF Type: Wet Food. Breeds: All cats. Reduce the risk of bladder stone. Booster for the immune system. Nourishes the skin &amp; hair. CLICK ON THE EXTRA OFFER AND GET 6 % OFF Type - Food Flavor - Red snapper Quantity - 80gms (Pack - 3) Made from real sardine. Immune system booster. teeth &amp; bone strength.